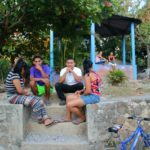 Iglesias (churches) are plentiful throughout the small country of El Salvador. Their sizes vary tremendously from powerful, breath-taking basilicas patterned after European cathedrals to tiny one-room structures in rural caserios (villages.) Although the cathedrals may be considered dark and imposing, the smaller churches are often bright and cheerful, charming and humble. Some worshippers prefer gathering in an open outdoor space facing a simple altar rather than being confined to a physical structure of walls and roof. 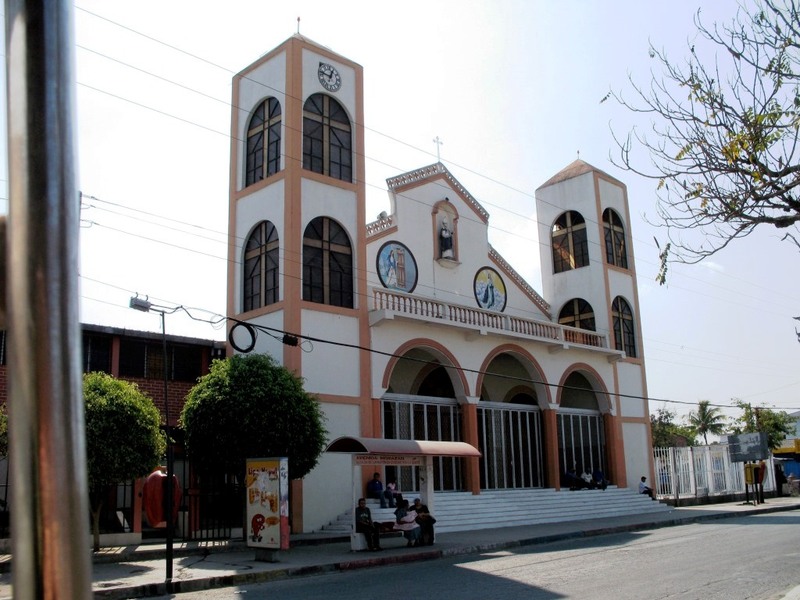 Architectural styles of the churches in El Salvador differ distinctly from one edifice to another depending on who designed or built each one, the period it was built in, and what influenced the designer/group/or contributors. The range in exterior church styles covers the Gothic and Pro-Gothic, Romanesque, Baroque, decadent Muslim, Spanish colonial, Rococo, Neoclassical, and contemporary periods. Several orders of Roman Catholic friars (Benedictine, Dominican, Jesuits) founded some of the early churches, building them in the familiar patterns they were accustomed to in Portugal and Spain. These historic churches can often be recognized by their two bell towers. Historical centers have taken responsibility for preserving their expensive upkeep in some communities. 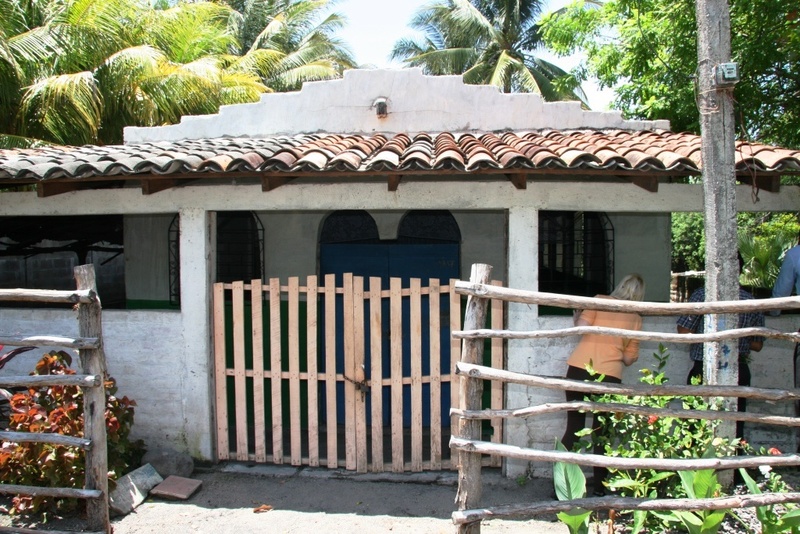 Materials typical for building Salvadoran churches include limestone, adobe, wood, brick, or concrete. Some located near volcanoes are made of a combination of volcanic stone mixed with sand and cement called curruncha. Domes made of masonry and/or tiled roofs are common. Interesting stories explaining the inspiration behind why certain churches or chapels are built in a community exist. Some were built beside monasteries as a convenient place for the friars to worship. One of the more curious legends was to give thanks to God for saving one particular town from bats! The majority of the churches I read about needed to be re-built at least once. The tropical weather is harsh on structures. El Salvador’s geothermal location makes the structures prone to earthquakes which have claimed the majority of these larger religious buildings. Lightning strikes and fire have devastated many others. Even the ravages of armed conflict during their civil war took the toll on many churches used for refuge by one group or another. We have enjoyed worshipping, visiting, or simply snapping photos of a variety of churches as we’ve traveled across the country. Here are a few exterior and outdoor shots from our youtube collection.